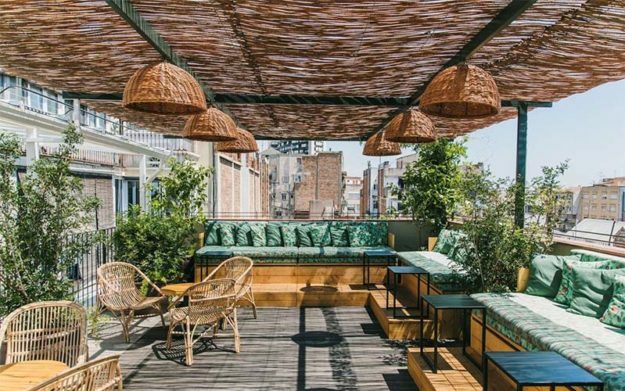 Located in the heart of Barcelona, Casa Bonay is an hotel of 67 bedrooms situated in a neo-classic building of 1869 that has recently been renovated from the floors to the ceilings. 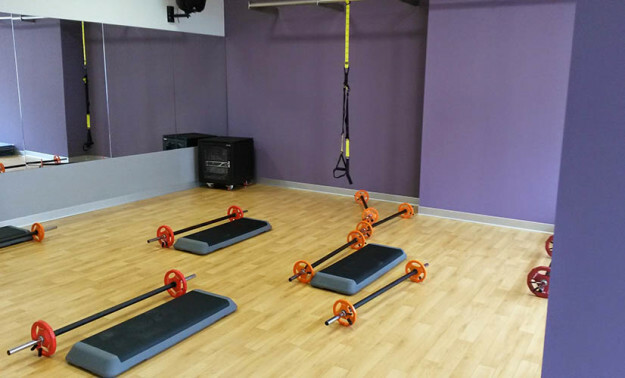 It re-opened its doors to its clients in 2016 after severeal months of work. 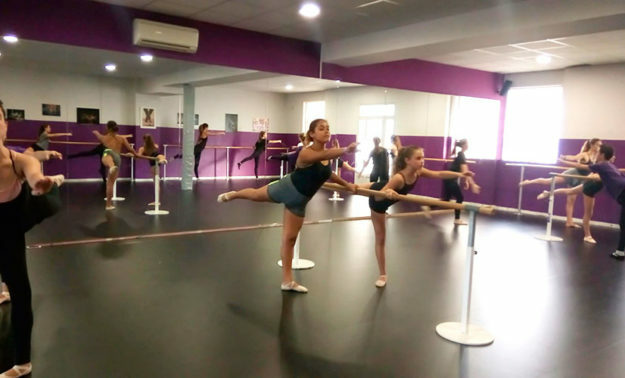 Installation of the Acoustyl heterogenous vinyl flooring in a dance hall of Contrajazz dance school in Barcelona. 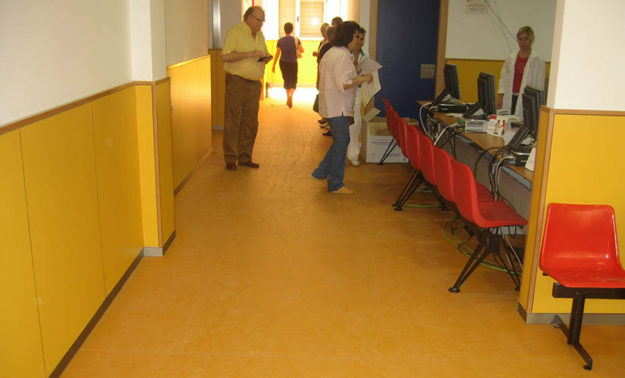 In this hall, the floor was in very bad conditions and was unsafe for the students. 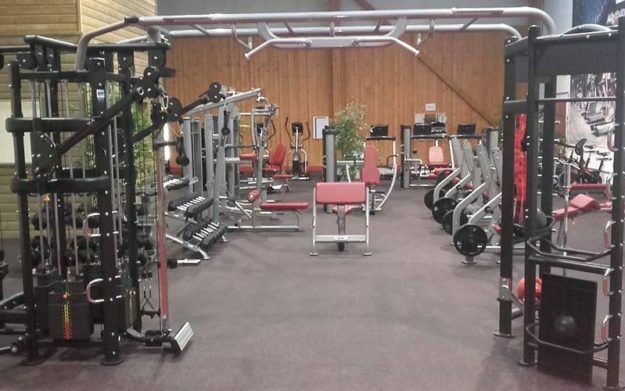 The municipal gym center of Castellbisbal, Barcelona had floorings with capillarity humidity problems, the proximity with the indoor swimming pool was the origin of the problem. 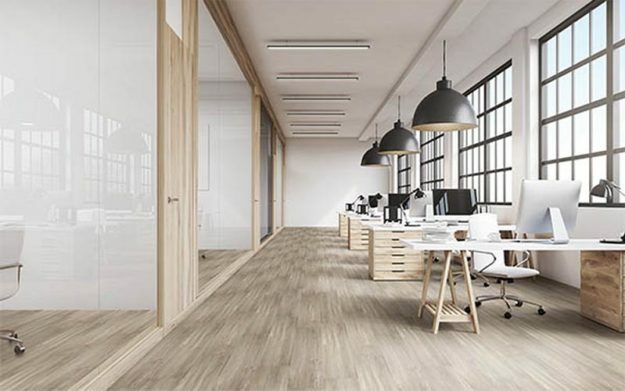 You will find equivalences to DLW Cenit, DLW Solid, DLW Favorite, DLW Medintone, DLW Favorite Acoustic, DLW Scala 55, DLW Scala 100, DLW Contour Conductivo, DLW Pastell Conductive, DLW Royal Conductive, DLW Wallflex and DLW Timberline. 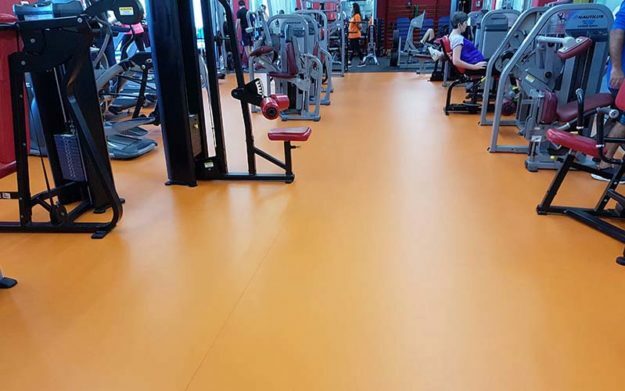 Are you looking for a resistant and long lasting gym flooring? 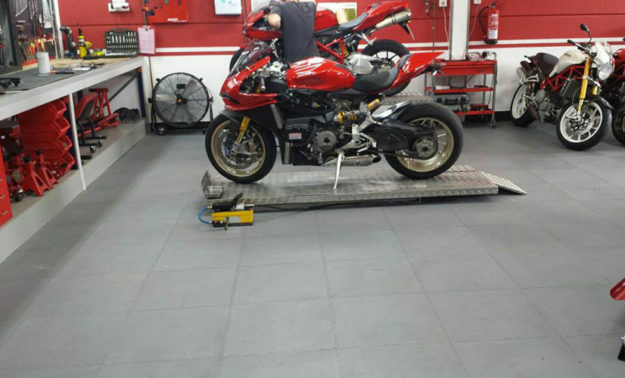 We are proud that the official 250sqm Ducati workshop of Malaga, Andalucía chose to install Traficline floors for the resistance it offers, the easiness and fastness of installation. No more problem with motorcycle center stands and kickstands! 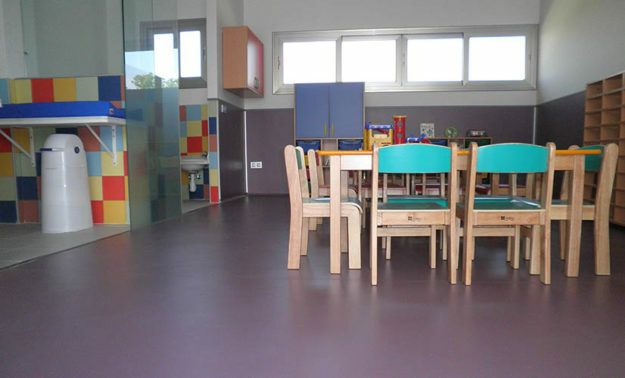 Click here for more information about Traficline PVC tiles. 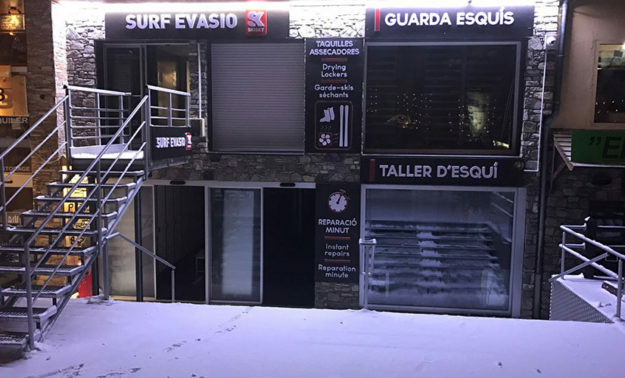 The French company Grosfillex (specialised in garden equipments) decided to change its 250sqm Barcelona offices from carpet to the vinyl floor Elegance. 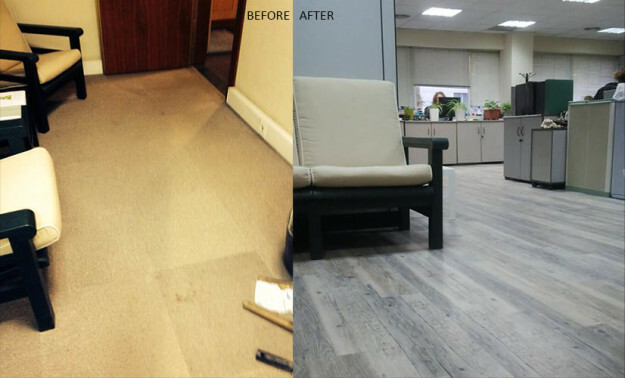 Apart from the complete aesthetic change, they have also solved the acarus issues linked with carpet floors. 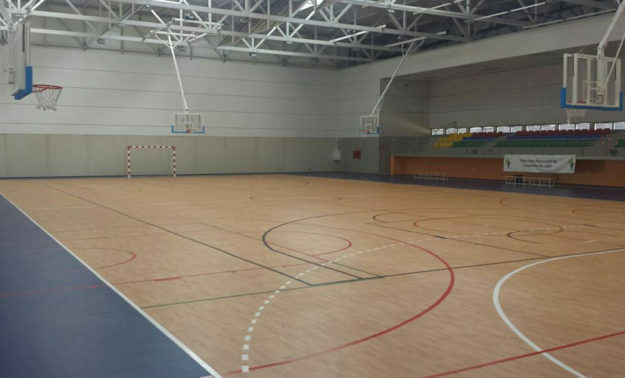 One of the leading sports center in the world used our vinyl floors Sportex Wood and Elegance Wood to give a modern and clean image to their new l’Hospitalet (Barcelona) premises. 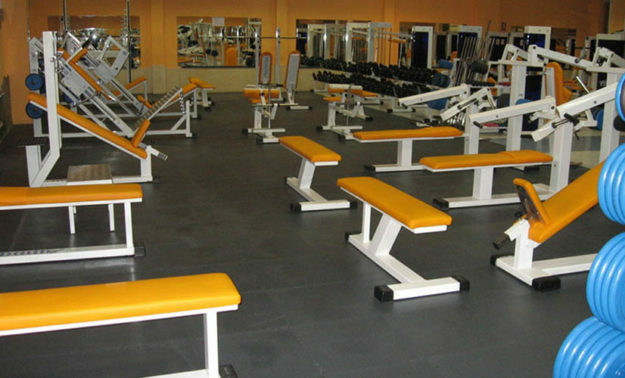 Elegance was used i transit areas, whereas Sportex was used in sports areas. Help me, my feet are burning! 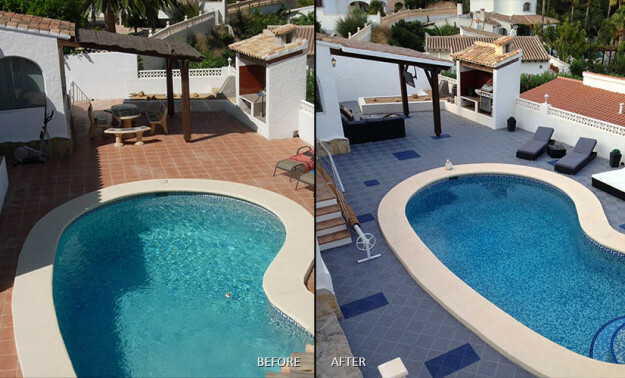 This customer from Alicante called us begging for a solution as walking barefoot around his swimming pool in the summer had become a real torture. Bergo Unique does not transmit heat, is easy to install and so aesthetic that he did not doubt a second. 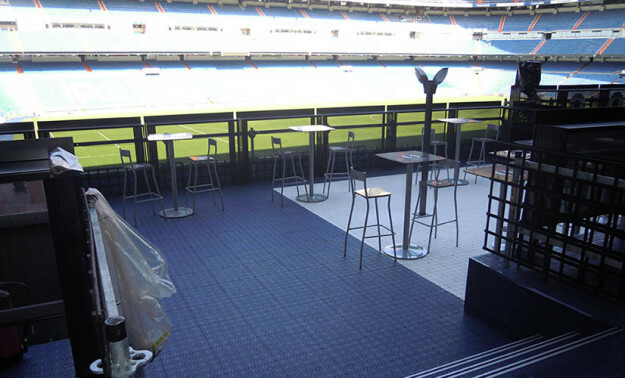 Santiago Bernabeu’ Summer Terrace needed a floor that would be easy to install and uninstall, that would support a heavy transit, sun and heat exposure and would look trendy. They opted for XL plastic tiles from Bergo, of course mainly in white! Hala Madrid! 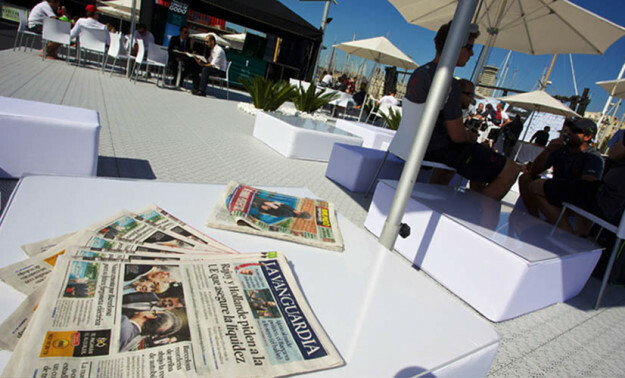 The Real Club Nautico Barcelona equipped its VIP area with our Bergo XL tiles during the sailing race event. 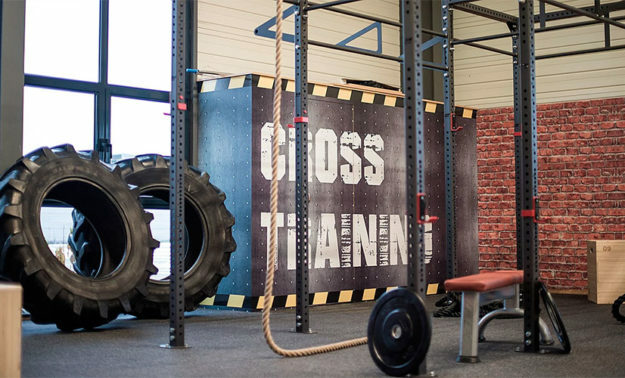 The 350sqm area was installed in one day. The result is astonishing! 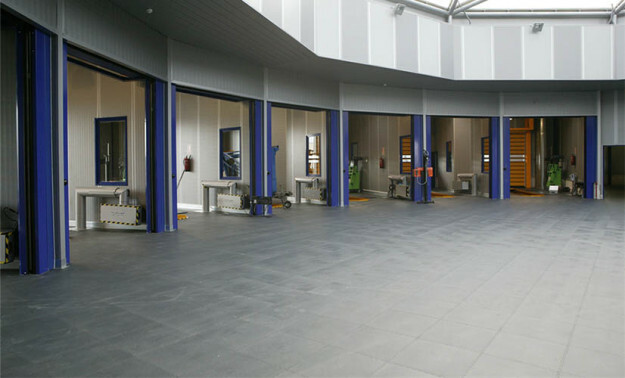 Opening of a new MOT center in Asturias, Spain with 1500sqm of Traficline. 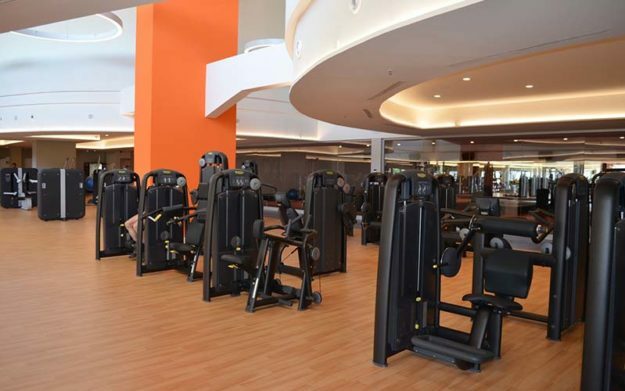 Refurbishment of a Health Center in Brugge, Belgium with Infinity. Opening of the Youth Hostel Sant Jordi in Barcelona with Acoustyl Uni. 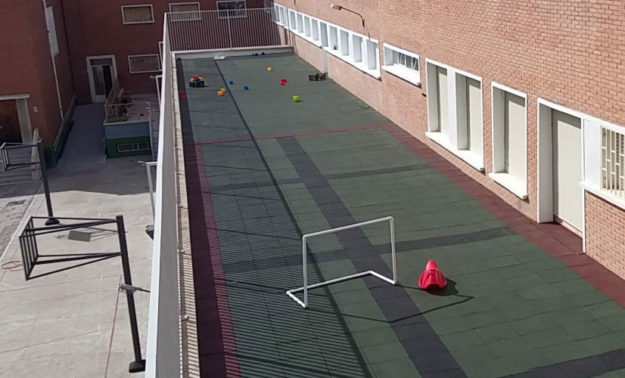 New 800sqm kindergarten in Granada, Andalucia with Acoustyl Uni. 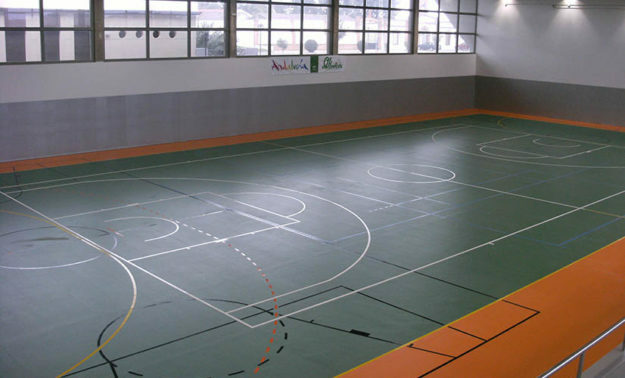 New 1000sqm multipurpose hall in Cordoba, Andalucia with Sportex 6. 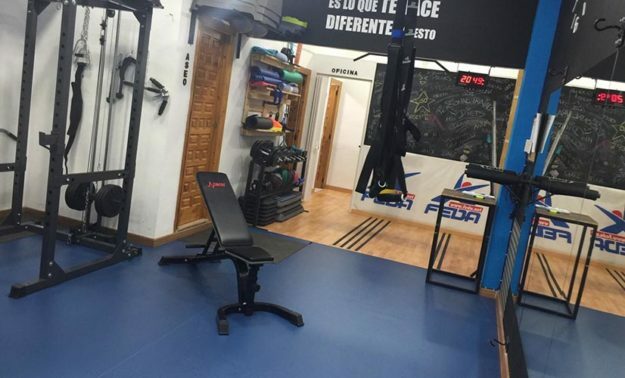 Total image change with Traficline for the Muscle Center in Zaragoza. 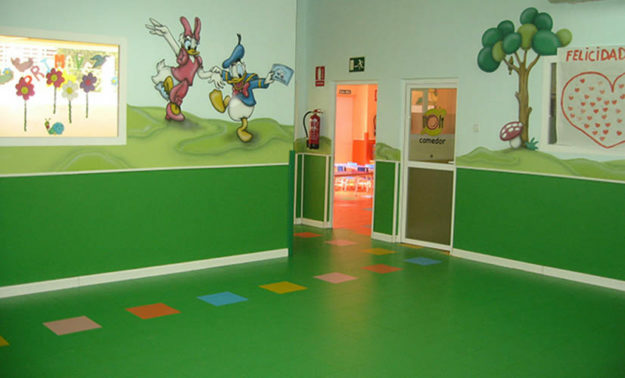 The kindergarten “Escuela Nenes” from Murcia bases its new image on our wall covering Rainbow. 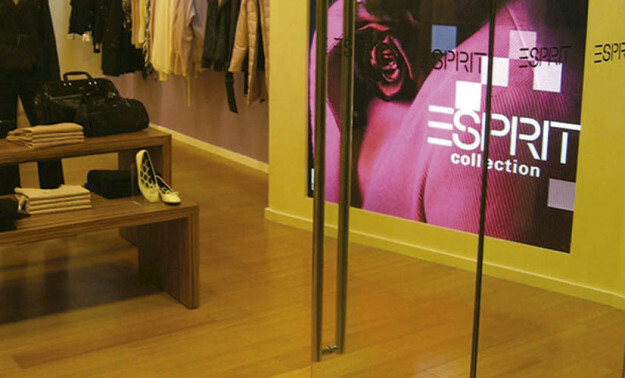 Vinyl decorative flooring Elegance in Esprit shops all over the world.